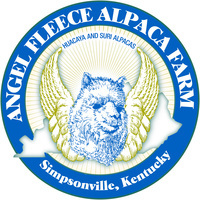 Extremely bright fleece true black female.She is the dam to Midnights Magic a true black boy born 9/4/03 and Angelfleece Midnight Onyx another true black boy born 9/24/04. Midnight star has a very dense and crimpy fine fleece. Due for a girl this time. Currently bred to Peruvian Black Mesquite for a early December Cria. Extremely dark shiny black crimpy fleece. 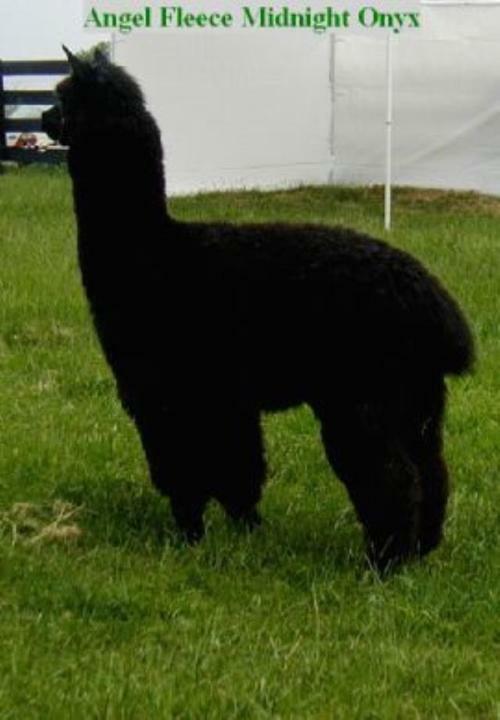 Very soft.Onyx has produced several beautiful true black crias from black and grey dams. Compact and very well balanced male. He stands ready to improve your crias. How about giving him a chance. You will most assuredly be pleased.